Your manicure looks great at first, but unless you’re preserving your nails, that fabulous polish can quickly start chipping and end up looking scrubby. Dishwashing, typing, and even applying makeup can quickly ruin your nails. 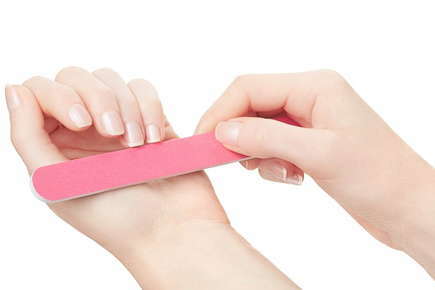 The good news is the following tips will help keep your manicure preserved for the long haul. If you’re doing your own DIY manicure, then you need to protect your nails from the beginning. One of the keys is to completely strip your old nail polish with remover before starting a new manicure, and that means every last bit of nail polish. Don’t rush it, but instead get into every nook and cranny. Afterwards, make sure your nails are completely dry and oil-free before you start applying color. Your clear top coat should be high-quality, as this is your first line defense against cracks and chips. It may cost a little more, but you’ll also need fewer manicures with the right top coat investment. When you’re washing dishes, doing some gardening, or generally partaking in an activity that can harm your nails, it’s time to wear gloves. During the winter months, when there’s a lack of moisture in the air, nails are prone to getting brittle and cracking. It’s time to throw on a pair of chic gloves and keep those nails away from the elements. Speaking of moisture, it’s time to keep your nails and hands moisturized. After you step out of the shower or when you feel that your skin is getting dry, think about applying Vitamin E to your hands and nails, and following it up with lotion. If you have to file your nails, only file in one direction. If you alternate directions, it actually weakens the nail’s structure and can really damage a manicure. Ultimately, with a little effort on your part, you can keep your manicures looking great far longer than you thought possible. But when your manicure needs to be refreshed, call us and we will be glad to start your nails afresh!